The permission was given as the Congress leader had earlier abided by the terms and conditions of the court, special CBI Judge Arun Bhardwaj noted. 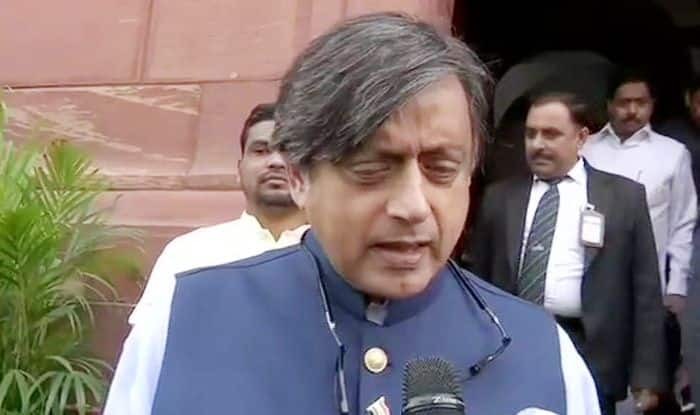 New Delhi: Congress leader Shashi Tharoor, who has been accused in the case related to the death of his wife Sunanda Pushkar, was on Monday granted permission by a Delhi court to travel to Saudi Arabia from February 28 to March 4 for attending a seminar. “Considering the fact that earlier the applicant/ accused was given permission to travel abroad and he has abided by the terms and conditions of the court, now the applicant/accused is further permitted to visit Saudi Arabia from February 28 to March 4 in addition to permission already granted to him to travel to UAE, Qatar and Bahrain,” the court said. Tharoor had sought the court nod to travel abroad saying that he has been invited by Kerala Muslim Cultural Centre, Saudi National Committee for a UDF National Seminar to be conducted from March 1-3, and to attend a conference on the invitation from Zahrani Group, Saudi Arabia on ‘Indo-Arab trade in ancient India’. On January 17, 2014, Sunanda Pushkar (51) was found dead in her suite at a five-star hotel in Delhi. The couple was staying in the hotel as their house was undergoing renovation. Police have taken Sunanda Pushkar’s last messages in social media for a declaration of death. Police said that in a mail to Shashi Tharoor, Sunanda Pushkar wrote that she had “no desire to live…all I pray for is death.” A couple of days before her suicide, her social media account reveals her alleged accusation against her husband of having an affair with a Pakistani journalist.